On Cyber Monday, intrepid travellers can save 25% on Adventure Canada's thirteen-day expedition to Newfoundland and Labrador departing July 5th, 2015. The exclusive sale is valid on new bookings only, made December 1st before midnight. 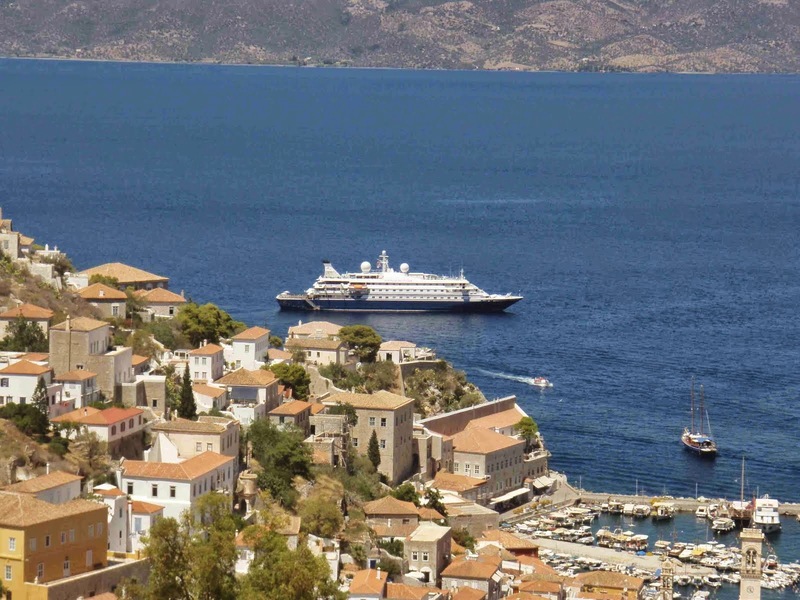 Last week saw the beginning ofa new Cuba cruise season, with regular callers Thomson Cruises, Cuba Cruise and Star Clippers now being joined by small ship operator Variety Cruises. Meanwhile, the competition heats up in China as both Carnival Corp & plc and Royal Caribbean Cruises make another move. And finally, Costa abruptly withdraws the Costa Celebration while Semester at Sea announces the withdrawal of its Explorer and her charter toCelestyal Cruisesfrom next June. Small ship cruise expert AdventureSmith Explorations (adventuresmithexplorations.com) announces a new 10-day Baja, Mexico cruise aboard the 86-foot, historic eight-guest adventure yacht, Westward. You've heard me say it over and over. 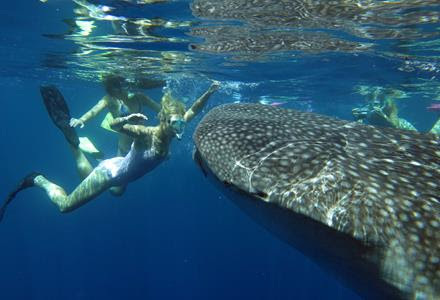 With expedition cruising, you just never know what's going to happen next. While that may unhinge certain travellers, for me it's part of the excitement of travelling in true expedition style. Yesterday, in the open ocean en route to Manihiki Atoll, Captain Taillard picked up a blip on the radar. At first it was thought to be another small craft adrift. Then when visual contact was made, the rounded shape looked like an upturned boat, so he altered course slightly for a better look and perhaps to assist any survivors. Soon the truth was revealed. 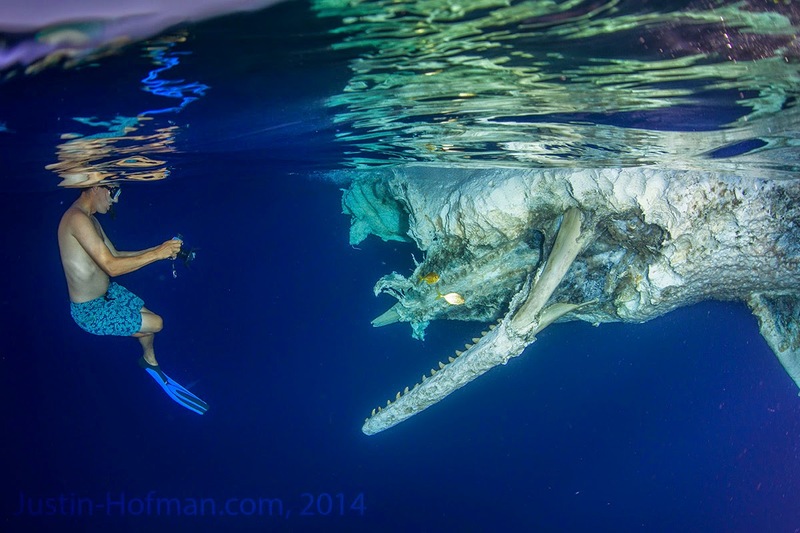 It was a massive whale carcass, bloated and bobbing among the waves. 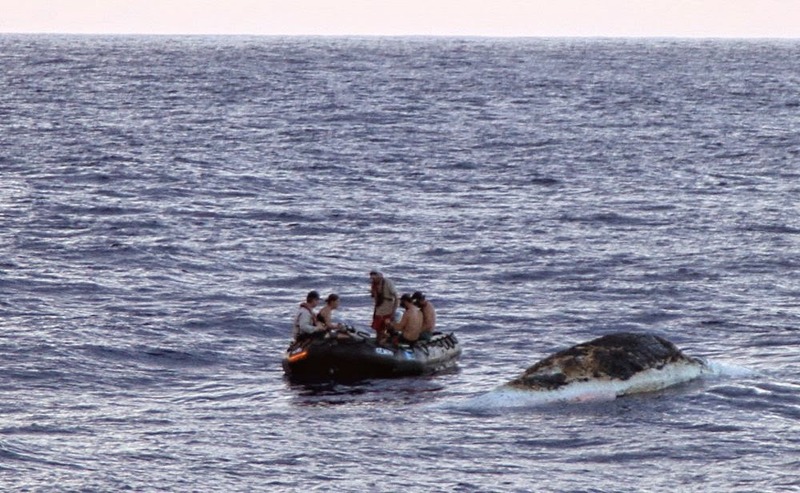 With a bank of binoculars trained on the anomaly, it could be seen to be a sperm whale. Such events are like a red rag to our underwater team and soon divemaster Justin and the marine squad were on their way to investigate. The ship stayed a couple hundred metres away but every so often the aroma of putrefying blubber would blow our way. Organic 'rafts' like these present opportunities for fish to congregate and feed on the bounty. Small pelagic trigger fish, wahoo and big travally were all lining up for a feed under the carcass which had obvious and disturbing evidence of shark bites. Big bites, probably from something like an oceanic white tip known for snacking on humans occasionally. With the price of a sperm whale tooth easily $1000 a piece, I'm wondering if our away team had suddenly turned buccaneer at the temptation. But no, they returned with just fascinating video footage to share and quietly debating, I'm sure, whether they should have cashed in on this smelly windfall. There was no bringing this poor beast back to life. Sometimes called Keppel or Traitors Island, the locals served up a warm reception for Dutch circumnavigator, Willem Schouten in 1616. So warm in fact that muskets were needed to cool down the welcome. 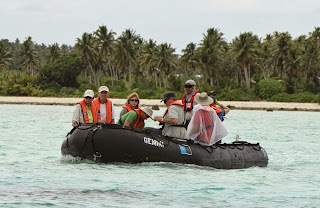 Today Nuatoputapu would thwart us as we tried to get ashore for a village visit. The falling tide made finding the tiny channel tricky and outboard props were tilted almost to 45 degrees to try and avoid striking the limestone bottom. 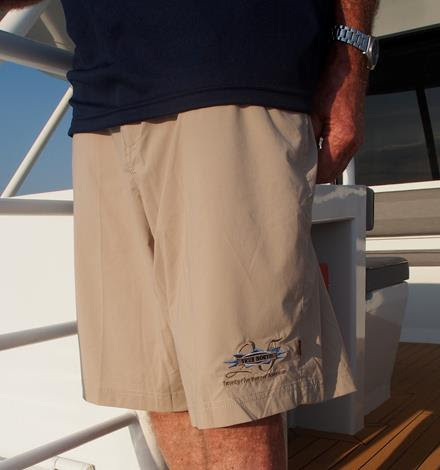 Expedition leader, Tim Soper, a chap very experienced in navigating reefs and shoals in the robust Zodiac tenders. 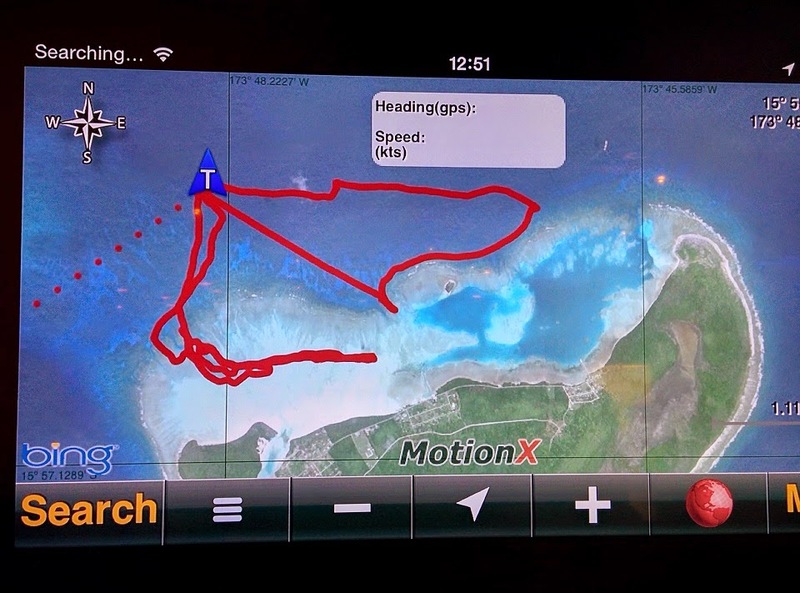 "We think we've found the channel now," calls Tim over the 2-way to our skipper, Dave Cothran, interrupting an impromptu lecture on atoll formation under way in the brief lull in our forward progress. 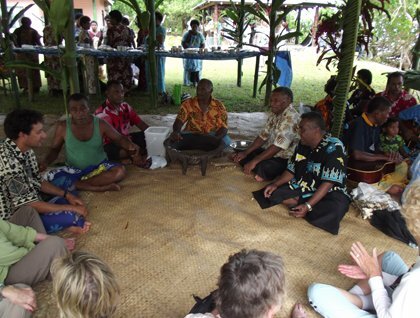 But that progress fell agonisingly short of our objective, the village of Hihifo in the SW corner of the island. With tide continually falling Tim, imagining the bosun's displeasure at damaged propellers, called stumps and the tiny fleet made its way back to the ship. SEADREAM Yacht Club has a whole 9-days from Istanbul to Athens aboard its mega motor-cruiser SeaDream I in May of next year, with the opportunity to visit Gallipoli, the wonders of Ephesus or Kusadasi's grand bazaar, medieval Rhodes, and the Greek Islands' breathtakingly beautiful Santorini, Mykonos – and motor-vehicle free Hydra where locals and visitors alike get around on foot or by donkey. There'll also be the chance to see the recently-excavated Terrace Houses and the House of the Virgin Mary near Kusadasi, the Monastery of St John on Patmos Island (where he wrote the Book of Revelations,) and Bodrum's Mausoleum of Halicarnassus that one's of the Seven Wonders of the Ancient World. SeaDream Yacht Club includes five-star cuisine and premium wines and bar drinks in its prices, together with power and sail water-sports (where locally permitted,) a 30-international course golf simulator, state of the art fitness centre, mountain bikes for shore excursions, port charges and taxes, and even gratuities. 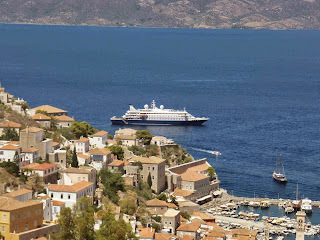 The 9-days from Istanbul to Athens on May 21 2015 starts from US$6048pp twin-share; SeaDream I carries a maximum of just 112 guests served by 95 crew. ADDITIONAL DETAIL: FOR those not interested in visiting Gallipoli when SeaDream I has a day in Kepez there is an optional tour to the remains of the ancient city of Troy, and in Rhodes guests can see the extraordinary walls of the city that are 12 metres thick and surrounded by a moat 21 metres wide. Santorini whose villages cling to the edge of an ancient volcano that wiped out the island's earliest settlements 3,600 years ago is considered Greece's most-popular destination, and at Mykonos there will be a full day and into the evening to enjoy its beaches and cosmopolitan lifestyle. The 103m, 106-passenger Orion is a ship that grabbed the attention of the public and industry and won many hearts among travelling Australians when she launched under the stewardship of Sarina Bratton almost a decade ago. 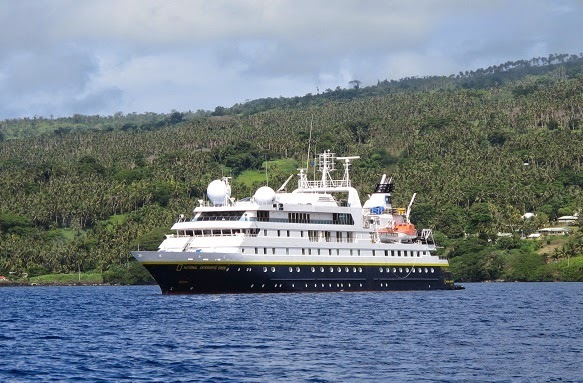 I first travelled aboard Orion in 2008 to PNG and as this was my only voyage under the previous configuration, I didn't have the emotional attachment many past passengers built up, some from over a dozen or more repeat voyages. The change in ship operators has been well-documented elsewhere on this site but now it's my chance to see the structural, cosmetic and operational changes first-hand. The most obvious change is to the lounge area, where Lindblad have installed a central 'pulpit' with AV controls for the lecturer whose presentations are streamed to the six flatscreen TVs installed around the expanded space. Looking around the lounge, the memories come back despite the alterations. The chairs, tables, carpets, lighting, wall hangings and bar itself have all been changed or modified to ensure the full compliment of passengers can fit into the area with unrestricted viewing of any screen. The old lecture theatre is currently not in use as the seating was not really adequate if all passengers aboard a full ship wanted to attend. That space is also being considered for repurposing, perhaps to a larger spa or gym facility as the current treatment room is only really a booth off the existing small fitness room. The Observation Lounge on Deck 6 is now the home to the library and now includes a large chart table. 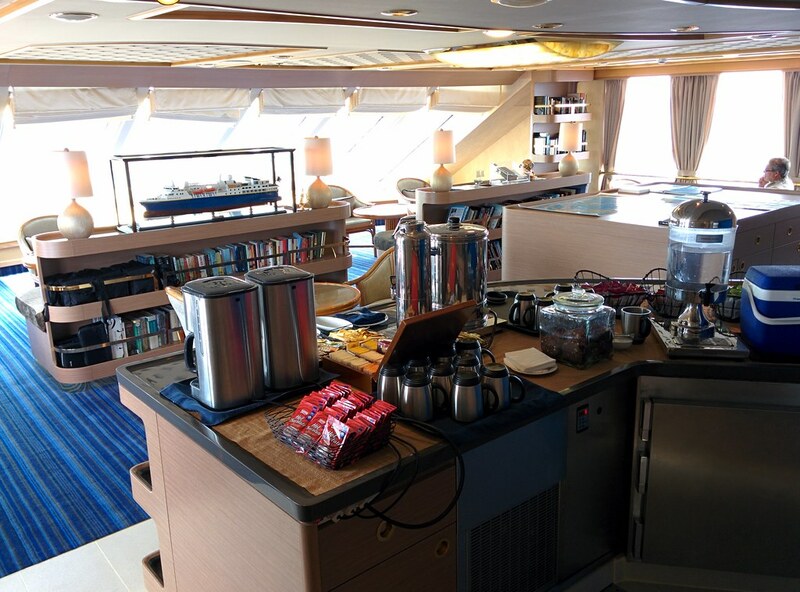 The bar has been removed and converted to a self-service refreshment area with tea, coffee, soft drink and snacks. It seems to work well as a quiet space for those wanting to read and perhaps nod off for a bit. Two iMac computers are installed for guest use. Dining is largely unchanged with meals served alternatively in the main deck (3) restaurant and outdoor café on the upper deck (4). The Serge Dansereau menu has been updated and rotates daily with the same cheerful service from many of the long-serving Filipino staff including executive chef Lothar. A dive deck is now on the uppermost level above the unused lecture theatre with storage of vests, tanks and sundry equipment for a maximum of 24 certified divers at a ratio of eight divers per divemaster. 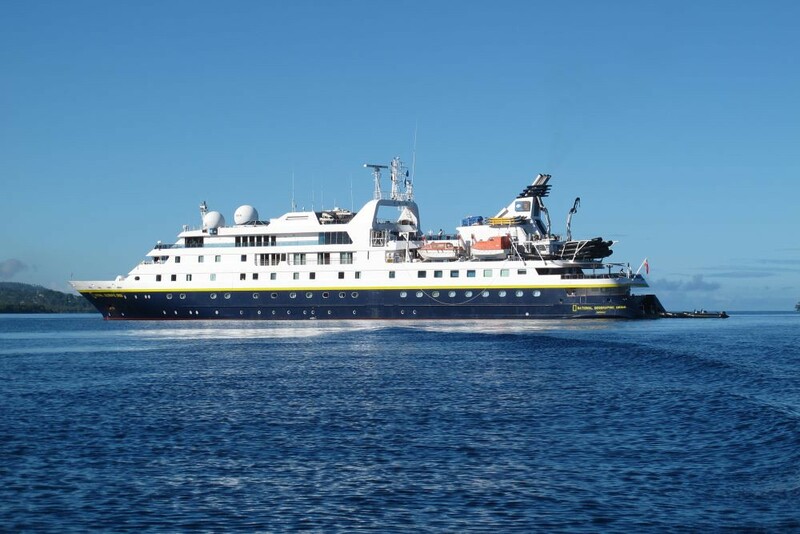 Orion is now fully self-sufficient as a live-aboard dive vessel with three compressors including one for Nitrox and several days emergency oxygen if required. A Zodiac is also equipped with ladders for exclusive use of divers. Of course, not all these changes are to the universal delight of the many past passengers. Several repeat cruisers are aboard for this voyage and the loss of after dinner entertainment and dance floor is one factor cited although the observation deck seems to have gained much wider acceptance. 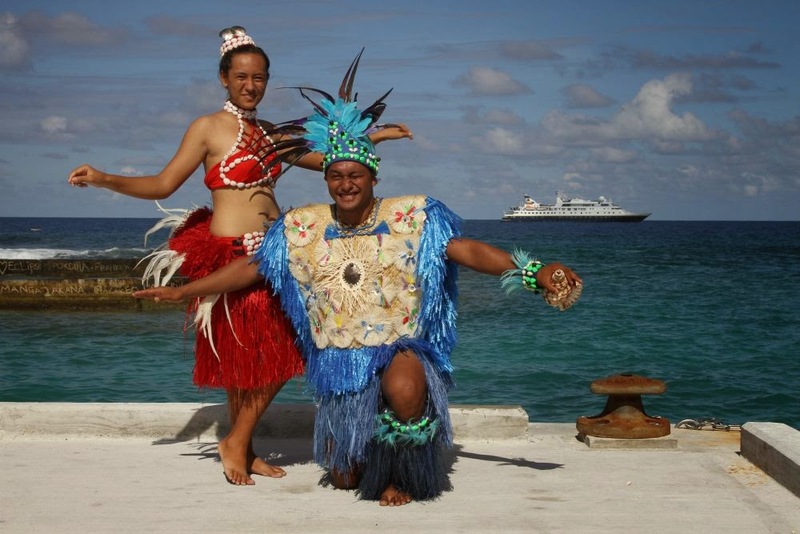 I will be aboard until Tahiti, so please check back regularly for more news and updates. After a quiet night at anchor off the northwestern coast of Taveuni Island, we began our day heading ashore in various directions. Departing at first light were those interested in a birding walk on Des Voeux Peak. They were rewarded with sightings of 12 endemic bird species, most exciting being the beautiful silktail. The higher rainforest was lovely, loaded with epiphytes, and the rare tagimoucia, the Fijian national flower, in bloom. 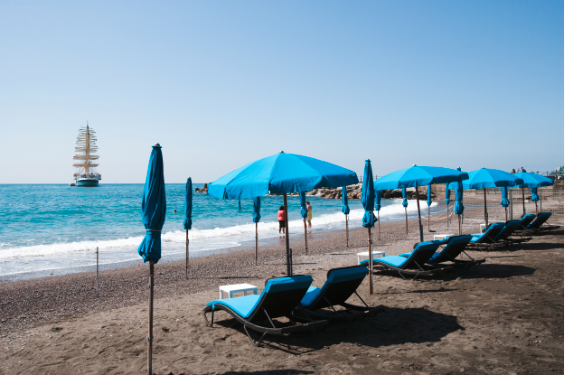 The morning was brilliant with color, the rich cobalt blue sea complimenting the deep and bright greens onshore. After breakfast, our Zodiacs swiftly delivered the remaining guests to shore for their outings. Once again, we loaded up into the local open-air buses. 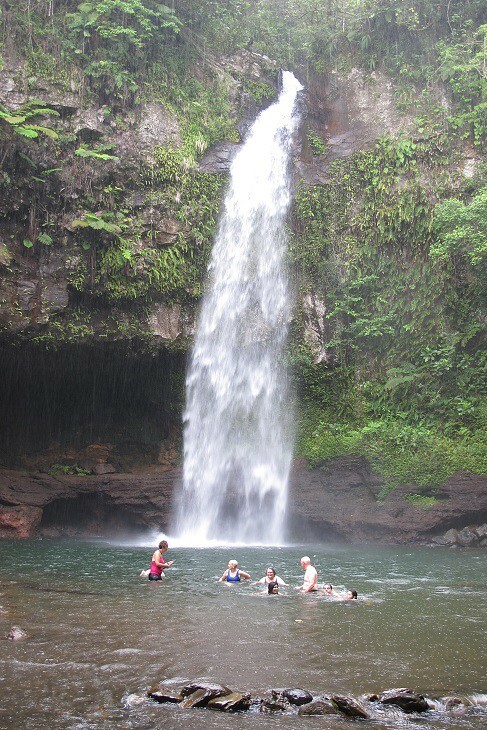 A hiking group headed directly to Bouma National Heritage Park for a more rigorous trek to view the park’s lovely waterfalls. Others opted for a gentler outing, first heading into a nearby town. As we approached the Catholic Wairiki Mission, we could hear the soft sounds of a chorus of voices drifting across the grass. To our surprise, our five-minute stop turned into twenty-five minutes as we discovered the large church was half full of schoolchildren, seated on the floor, singing beautiful songs. The acoustics and their lovely voices combined into an absolutely magical moment as we stood in the doorways, listening and taking photographs of their cheerful faces. It was a bit of unexpected magic both for us watching, and for the kids who were delighted to see us. After making a quick stop at the 180° East/West Meridian marker which lay on the far side of a soccer field, we continued on to Bouma Park on the far side of the island. A short walk led us to the stunning Tavoro Falls. There, a dramatic drop of over 70 feet splashes into a great pool of cool water creating a perfect place for a refreshing swim. And the water fell, not only from the falls but from the sky as well, a sweet tropical rain accompanying us, cooling the air as we walked back to the buses. 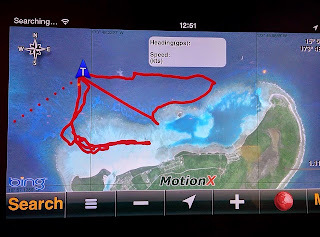 Back on board National Geographic Orion, we set off for the Ringgold islands where we found a great place to have our first platform snorkel on an outlying reef. There were a terrific variety of corals and colorful fishes seen and it was wonderful to enjoy the bounty of the warm Fijian waters. We awoke to a beautiful morning at sea and although we were in open ocean waters, we could at all times see land somewhere far in the distance. The winds were strong, but that was to be expected with the Southeast Trade Winds in this part of the world. In fact, the dependable trades are what makes it all work here, or at least did in the distant past when the Pacific islanders travelled about in huge sailing canoes. This relaxing time at sea gave most of our guests time to recover from their long travels, jet lag, etc. 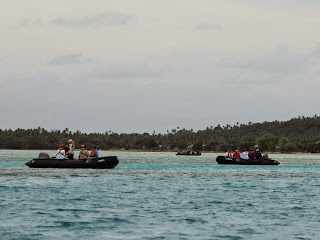 It was also a time to get to know the ship and give some briefings on Zodiac, snorkeling, and SCUBA diving operations, as well as an introduction to life in Fiji, its customs, our expectations, and proper behavior with the locals. 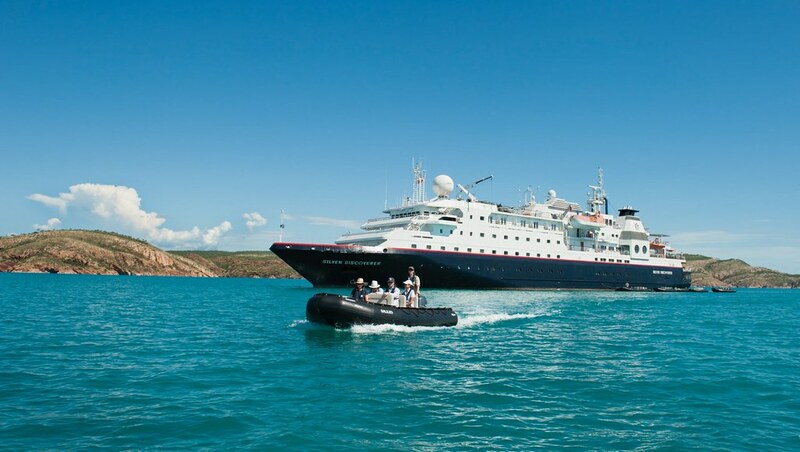 Are Expedition Cruisers the ultimate travel snobs? Expedition cruisers may still be a rare species, but their numbers are on the rise. It’s the perennial barbeque stopper in which I always find myself embroiled. 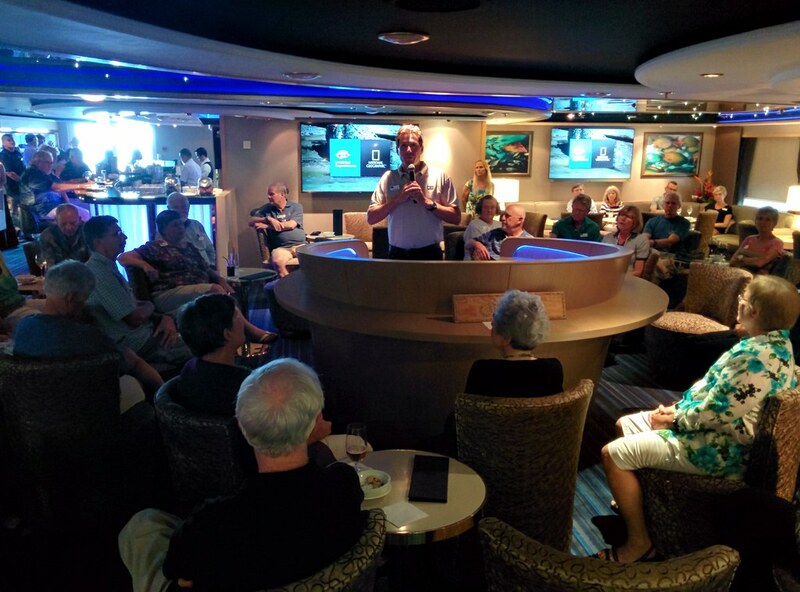 Is expedition cruising really cruising? The question is almost Darwinian. 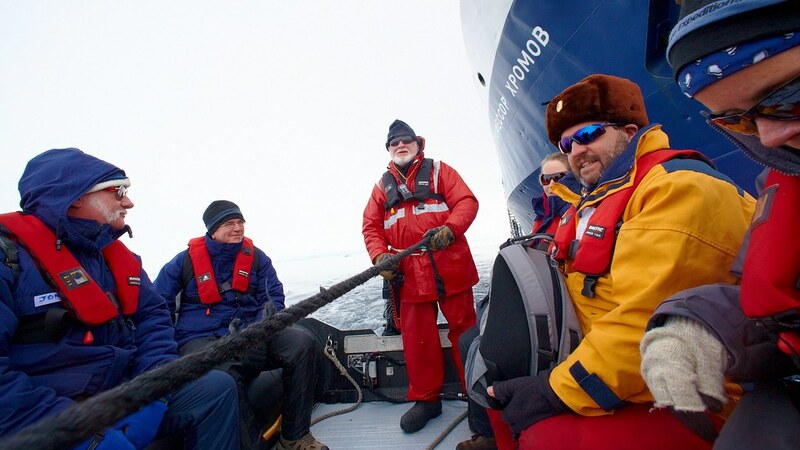 Where does expedition cruising fit in the taxonomy of travel? It’s like saying a dolphin is related to a hippo. Oh wait, you mean they are? Okay. In trying to explain this conundrum, I usually say something pithy like big ship cruising is akin to staying at a resort where everything is laid on while expedition cruising is ‘adventure at sea’ and you have to go discovering stuff. These discussions started a long time ago when the distinction between expedition and regular cruising was easier to define. In my pompous imagination, big ship cruising was for unimaginative types who needed their hand held and, like Pavlov’s dog, only ate when the dinner bell rang. Expedition cruising, on the other hand, was for direct descendants of Shackleton and Scott, who would cheerfully withstand katabatic winds and live off soggy pemmican just so they could tick off a lesser speckled shag from their species list. These days, just like the increasingly homogenised world in which we live, work and travel, the dolphins and hippos are less distinct. While there are still dolphins and hippos at either end of the evolutionary spectrum, like Darwin’s little finches, peculiar sub-species are evolving in between. 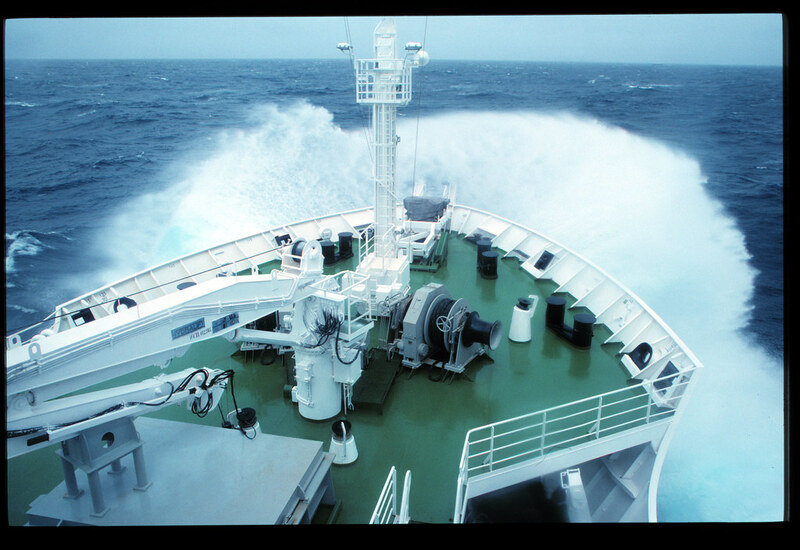 Just as some cruisers are drawn to the massive ‘Gigantors’ of the seas, others prefer a mid-size, calmer ‘gentle wind’. 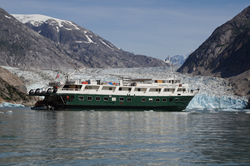 Others still will opt for a flowing Scandinavian river experience or a private and intimate charter. Having conversed with hundreds of passengers aboard the small ships in ridiculously remote locations, one thing can be almost universally counted on: those who consider themselves true expeditioners heap scorn on the masses who throng the big ships. I can count on one frostbitten hand the number of travellers who have regaled me about their last cruise on the RMS Queen Gwendolyn and how they were absolutely mortified the caviar was only salmon roe and not Russian sturgeon. I mean, honestly! Sometimes these mismatched voyagers will find themselves on the wrong ship in the wrong place, often with comical results. Poor expedition staff find themselves dealing with some bizarre events and behaviour. The passenger who dolled herself up for the shore excursion, indignantly arranged herself in the grubby Zodiac, then promptly returned to the ship when it was clear she would have to get her feet wet and sandy. Or, the horrified passenger who returned, trembling, to the ship because they had come face-to-face with ‘savages’ living in ‘poverty’. Another guest was bitterly disappointed at the lack of shopping opportunities on an Antarctic trip. 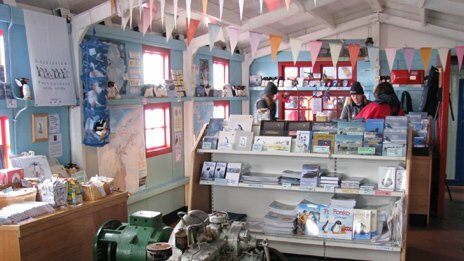 Although I have to say, this guest clearly had not visited Port Lockroy recently which has, in the decade between my visits, evolved from a quaint folk museum into an antipodean emporium full of T-shirts, keyrings and snow globes. 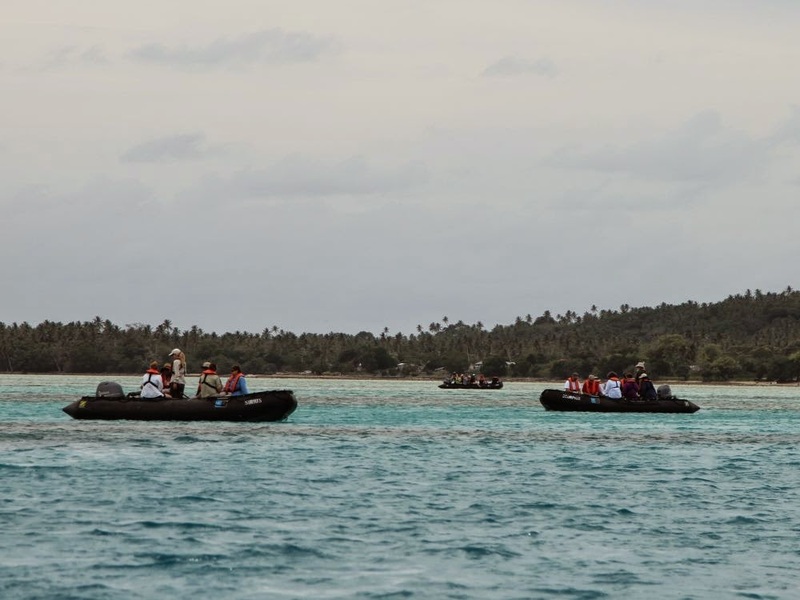 But the greatest number of complaints, according to my sources across virtually all expedition cruise companies, is the small ships’ inability to visit the advertised ports or stick to a publicised schedule. As the most developed branch of the order of primates, the species homo sapiens (IUCN conservation status: ‘least concern’) has developed a distinct aversion to disruption of routine. When things don’t go to plan or the unexpected occurs, this flighty mammal is prone to fits if pique and paralysis of decision rendering them pretty much useless. How they landed a man on the moon or split the atom is beyond me. So, if you are of the genus that wants to huddle in the cocoon of security, safe in the knowledge that the midnight buffet will be served before pumpkin time, expedition cruising is definitely not for you. 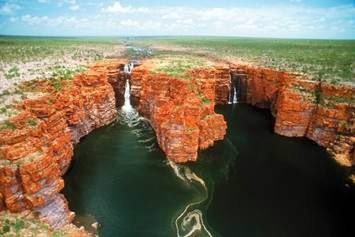 Explore the incredible landscape of the Kimberley on board Silversea's latest expedition ship, Silver Discoverer. This 10 day voyage takes guests through this largely inaccessible location and uncovers the natural wonders of this beautiful part of the world. Departing Darwin on 19 April 2015, Silver Discoverer sets sails for Western Australia's northernmost town, Wyndham, where guests can view the breathtaking World Heritage listed Bungle Bungle mountain range in Purnululu National Park, a World Heritage Site, during a scenic overflight. The voyage then continues along Kimberley's coastal region for six days of exploration. Famous for having the second largest tidal range in the world after the Bay of Fundy, Silver Discoverer's flexible itinerary enables the Expedition team to take advantage of this natural phenomenon. Each day the Expedition Leader and Captain will determine Silver Discoverer's best course, depending on tide, weather and sea conditions. Ports of call may include: Nares Point and Crocodile Creek, where guests will explore the superb location by Zodiac and enjoy a swim in the natural pool; Montgomery Reef, a river surrounded by cascading waterfalls and filled with an abundance of reef birds and sea creatures; and King George River and Falls, one of the Kimberley's most magnificent natural wonders, with amazing landscapes of near vertical red rock formations and a parade of wildlife. 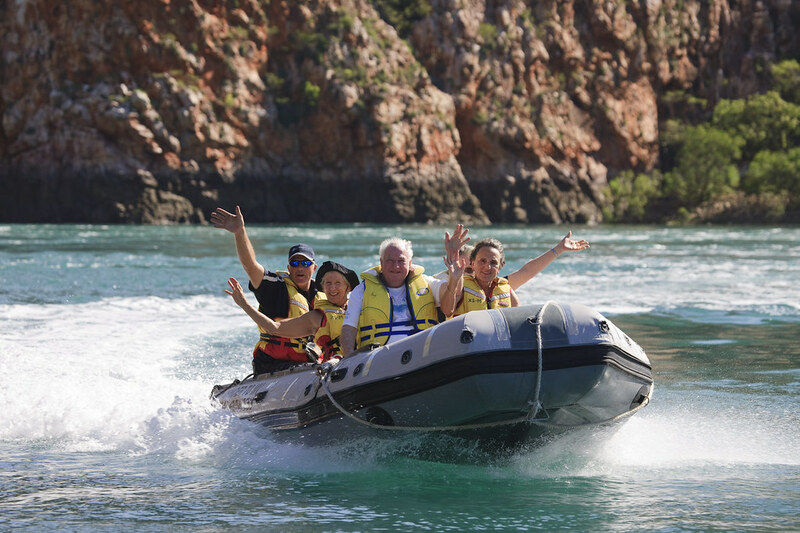 After six days of exploration and discovery, this voyage continues to Broome, with guests disembarking on 29 April 2015. Prices are per person starting from AU$10,950 in an Explorer Suite, double occupancy. Silversea Expeditions' fares include: all shore and Zodiac excursions hosted by an expedition leader; all-suite accommodation with butler service; gourmet meals with menus inspired by Relais & Châteaux; complimentary wines, Champagne and spirits served throughout the ships; and all gratuities. 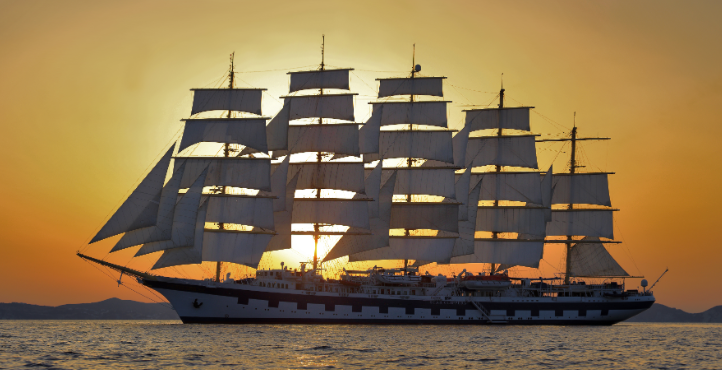 Tall ship sailing specialist Star Clippers has launched its 2015/16 programme, featuring romantic cruises from three to 24 nights on its three stunning true sailing ships, with sailings between November 2014 to March 2016. The three ships will sail in the Caribbean in winter (Star Clipper from St Maarten, Royal Clipper from Barbados and Star Flyer from Cuba) and in the Mediterranean and Aegean in summer. In addition, there are one-off sailings between Barbados and Panama (on Star Flyer); transatlantic crossings on all three ships in spring and autumn; and mini-cruises in the Mediterranean from three to five nights in addition to the longer sailings. Star Flyer will operate two new ten-day Cuba itineraries in March 2016, sailing between Cienfuegos, its winter base, and Havana, the capital. Ports of call include Maria La Gorda; Isla de la Juventud; Cayo Rico; Cayo Largo; Georgetown and Cayman Brac in the Cayman Islands; and Trinidad.From $3415 per person including port charges, cruise-only, departing March 6 and 16. Royal Clipper will spend winters operating her usual enticing Windward Isles and Grenadines itineraries out of Barbados but two new, exciting cruises have been added, circling the entire southern Caribbean. Departing Barbados, the 14-night voyage calls at four ports in Venezuela (the coast of which is scattered with beautiful, unspoiled islands); the 'ABC' islands of Aruba, Bonaire and Curacao in the Dutch Caribbean; and the Grenadines and St Lucia, with departures on March 28, 2015 and March 26, 2016. From $4849 per person including port charges and gratuities, cruise-only, departing March 28, 2015. Star Clippers will be introducing new itineraries, yet to be announced, for summer 2016, so summer 2015 will be the final season sailing the Balearics, with six sailings on Star Flyer in July and August round-trip from the glamorous port of Palma, calling at ports including Formentera, Ibiza, Valencia, Mahon and Soller. From $2365 per person including port charges, cruise-only. Once again, Star Clippers will be offering mini-cruises, ideal for those who would like a taste of life on board a true sailing ship. Choose between three nights round-trip from Venice; four nights round-trip from Rome; or five nights from Malaga to Rome, all on Royal Clipper. Star Flyer, meanwhile, offers three- or four-night sailings from Cannes; and a four-night one-off cruise, taking in the practice day of the Monaco Grand Prix. From $1015 per person including port charges for a three-night cruise from Cannes on Star Flyer, calling at L'Ile Rousse in Corsica and St Tropez, departing September 23. From $2365 per person including port charges, excluding flights, for a seven-night round trip from Palma on Star Flyer. Star Clippers is offering an early booking discount of up to 35% until January 31, 2015 for the European summer sailings and until April 30 for winter Caribbean 2015/16 sailings.